By now I’m sure you’ve all encountered various forms of AI (Artificial Intelligence). Have you ever noticed that your favourite online store now only ever displays clothes that suit your personal tastes exactly? Or how your social media only ever suggests pages that “totally resonate” with you right now? This is the start of AI’s ability to use manipulated data collected from human interaction, and it can already design logos, and flyers online - what could it be capable of in the next 10 years? So how can you stay ahead of the game? Here are some tips and tricks that could keep you ahead of the curve. Firstly, don’t be a “Jack of all trades and a master of none”. Choose skills you excel in and know how to build bridges to connect pathways to other related skill sets and combine them. For example, if you’re good at video editing - great! You can also work on storyboarding, and motion graphics. The opportunities for creative skill set combinations are endless! Teach yourself to code, learn a new programming language or look at other options such as animation. Upskilling is hard work that requires a lot of hours and dedication. There are so many online platforms that are affordable and easily accessible that can help you develop into new channels as a creative. Don’t fall behind in developing software or improved tech regarding your skill set. The ability to do things such as match colour combinations and create new compositions in your work is a factor that sets you apart – evaluate your current creations and get them to intrigue and interest people - and we have a winner! Design that touches on people’s emotions and ignites them has, and will, always prevail over uninspiring, mass-produced content. You need to be witty, imaginative, and poignant when conceptualising designs. You should always be able to identify trends in design and understand how it influences people’s behaviour when they experience it. Think of ways you can refine or re-invent design trends. Artificial intelligence will be able to learn complex narrative structures and idioms, and it can already be programmed to predict font trends and photographic layouts. Super-intelligence, however brilliant, may never evolve to foresee the butterfly effect of trends as we do. If you’re not already in the job of your dreams, you should be spending at least one hour a day crafting your own designs, ideas and concepts. Update your Behance regularly and collaborate with other fellow creatives who work in different fields of design. Host a skills-share and learn to collaborate with others in the industry. Creative passion is reflected directly in the work you produce and these designs and concepts will be the ones that resonate with people. Millions of concepts and designs get rejected every day. Ideas that we think are revolutionary are laughed at and ideas we think are awful are applauded. As a creative it’s all about bouncing right back. Bad idea? Ditch it! Think of a new one, or modify it into a good idea! Great idea? Awesome! Adjust it to be even better next time. Don’t worry - you are not Will Smith and this is not i-Robot. Keeping up with the development of AI could benefit you in more ways than you think. 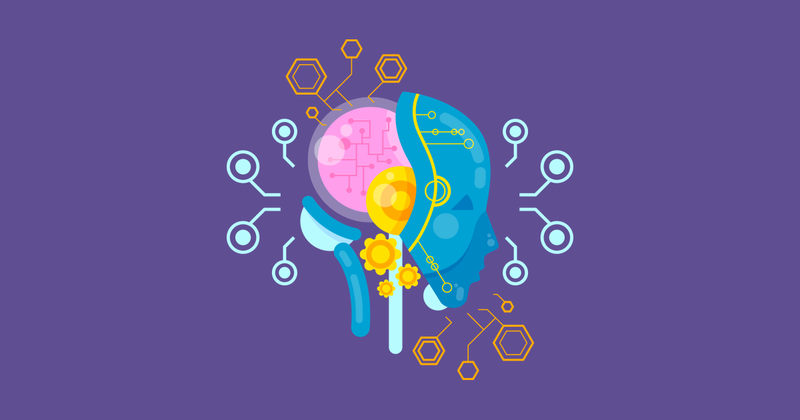 Use AI to your benefit and learn more about what aspects of AI serve you the most, and keep up those. This will help you stay ahead of the game - instead of being blindsided by a sudden shift in technology. When you find something new that interests you, open your mind to it and you will see new possibilities and never get left behind.